After an exceptional set of A-Level results last week, Settle College were delighted with another set of excellent GCSE results, continuing the trend over the past three years of outstanding outcomes. The results show that Settle College students consistency achieve higher results than students nationally. 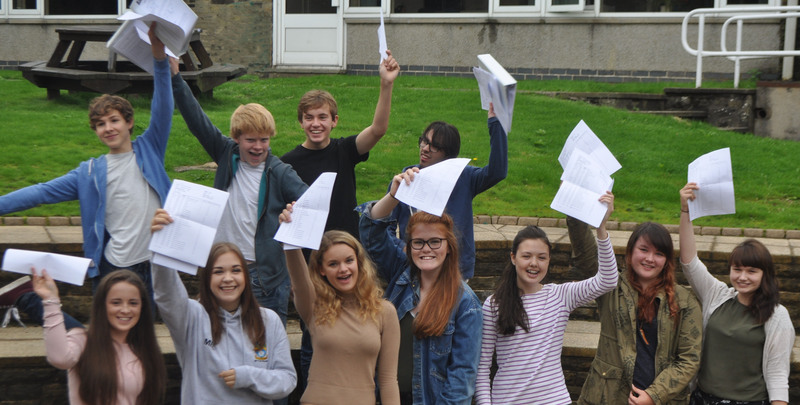 One in four students achieved the top grades of A* and A across five or more GCSE subjects, with one in six achieving those top grades in 8 or more! The core subjects of English and Maths performed particularly well. 88% of students achieved an A*-C in English and 82% in Maths. The average grade in Biology and Chemistry GCSE was an A. In the new performance measures for 2016, the measure of 5A*-C (including English and Maths) has been replaced with the percentage of students achieving a grade C or above in both English and Maths. At Settle College, 76% of students achieved a C grade or above in both English and Maths. Settle College continues to buck the national trend with little gap between boys and girls, with, for example, boys outperforming girls in Maths. Nationally, there is a 9% gap between girls and boys achieving C or above in both English and Maths but, at Settle College, that gap is a mere 2%. Students continue to study a broad and balanced curriculum, enjoying success in the EBacc subjects (English, Maths, Science, Humanities and Languages). Students have also performed well in creative subjects such as Art, with 93% A*-C grades. For the first time this year, a group of students studied GCSE Further Maths, in addition to their Maths GCSE, with great success – 100% A*-C grades and 33% A*-A grades – an excellent preparation for A-Level Further Maths. Many congratulations to everyone on these fantastic results. Well deserved!